We offer a wide variety of classes for our members of all fitness levels. A program to assist local businesses. From aquatics to massage, we offer a wide range of amenities everyone. Balance, Agility, Strength, and Endurance small group training. Let us help you get ready for this years Beach to Bay Relay Marathon! Try our new program created with youth in mind. 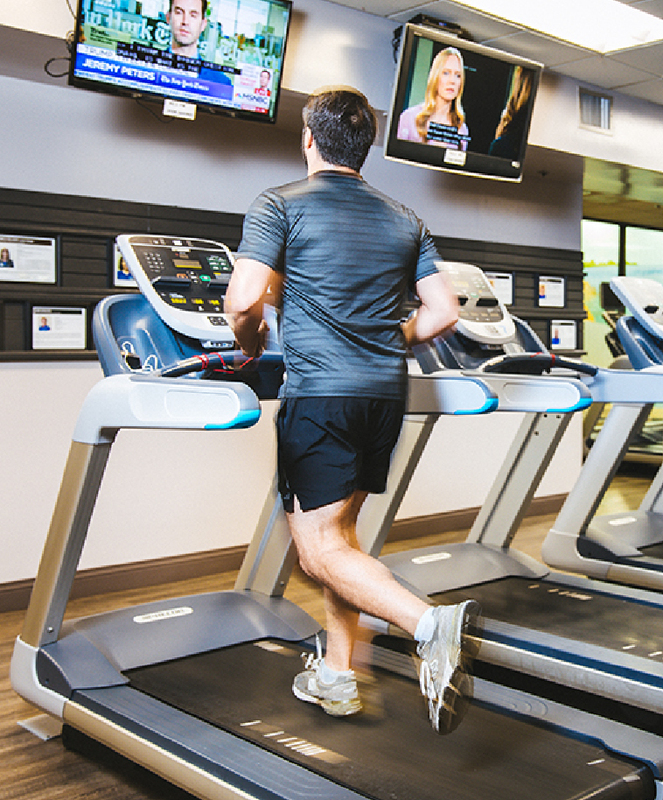 The Corpus Christi Athletic Club is the #1 fitness facility in South Texas with over 110,000 square feet of indoor facilities, as well as outdoor facilities for you and your family. We offer more under one roof than any other facility in South Texas. Enjoy our fitness center with a vast variety of cardiovascular equipment, resistance equipment and our upgraded free weight area! The Club has a 60-foot recreational pool, a 25-yard lap pool, hot tub, wet and dry saunas and a cold dip among others. We have four indoor and eight outdoor tennis courts, indoor and outdoor basketball courts, indoor running track and two racquetball courts. Did you know you can revitalize your muscles and relax before or after your workout with our massage services? Our certified massage therapists are trained to provide you with exceptional service to meet your specific needs. Looking for child care during your workout? No problem! We provide FREE child care with planned exercise activities in the Kid's Club. Full day recreational camps for your children are available during CCISD holidays as well as after hours programs for kids like Kid's Night Out. There are numerous programs in gymnastics, aquatics and martial arts. And if that's not enough, The Club can even host your next birthday party or shower! The Club is committed to helping you be healthy and active. We also offer certified personal training and guidance in all types of weight training techniques and fitness programs. Let one of our personal trainers help you jump start a new exercise program or provide a realistic approach to your fitness goals. Join us today and try out one of our 125 group exercise classes. It's all here at the Corpus Christi Athletic Club, South Texas' most comprehensive sports and fitness facility. We have programs from tots to seniors for you and your entire family.